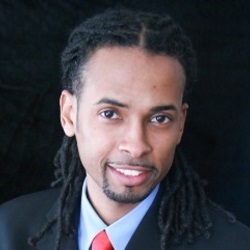 Tyrone Davis is a licensed North Carolina Attorney who is a Winston-Salem native. He has a BA in Political Science and Masters of Public Administration from North Carolina State University. For his Juris Doctor, he attended Elon University School of Law, which is located in Greensboro, North Carolina. In addition to being a RAISE Advisory Board member, Tyrone has volunteered his time with the North Carolina Youth Leadership Forum. LeDerick Horne. Labeled as neurologically impaired in third grade, LeDerick Horne defies any and all labels. He’s a dynamic spoken-word poet. A tireless advocate for all people with disabilities. An inspiring motivational speaker. A bridge-builder between learners and leaders across the U.S. and around the word. An African-American husband and father who serves as a role model for all races, genders, and generations. The grandson of one of New Jersey’s most prominent civil rights leaders, LeDerick uses his gift for spoken-word poetry as the gateway to larger discussions on equal opportunity, pride, self-determination and hope for people with disabilities. His workshops, keynote speeches, and performances reach thousands of students, teachers, legislators, policy makers, business leaders, and service providers each year. 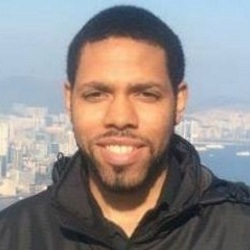 He regularly addresses an array of academic, government, social, and business groups, including appearances at the White House, the United Nations, Harvard University, the National Association of State Directors of Special Education, and the Pennsylvania, Wisconsin, Nevada, and Alabama State Departments of Education. His work addresses the challenges of all disabilities, uniting the efforts of diverse groups in order to achieve substantive, systemic change. You can learn more about him and his work at www.lederick.com. 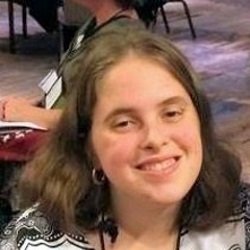 Cara Liebowitz is a multiply disabled activist and writer. She works as the Development Coordinator at the National Council on Independent Living, the longest running grassroots disability rights organization in the U.S. Cara has written for numerous online outlets, including Everyday Feminism, The Body is Not An Apology, NOS Magazine, and the Rooted in Rights blog. Her writing has been featured in anthologies such as Empowering Leadership: A Systems Change Guide for Autistic College Students and Those With Other Disabilities, Criptiques, the Spoon Knife Anthology, and the upcoming anthology Disabled People Destroy Science Fiction. Cara is also active with the DC Metro chapter of ADAPT, which uses grassroots tactics including nonviolent civil disobedience to fight for the rights of people with disabilities. She holds a Master’s Degree in Disability Studies from the CUNY School of Professional Studies and blogs infrequently at thatcrazycrippledchick.com.